When the winner of this year’s Hyundai Mercury Prize was announced there was little surprise that it came from London. After all, the metropolis dominated the shortlist, with South London in particular asserting a kind of creative stranglehold on the final countdown. But, as Clash commented at the time, this kind of exposure is a double-edged sword. Guest presenter Idris Elba made a faux pas on the night, continually praising the strength of English music – undoubtedly true, but hardly charitable when the prize itself is designed to recognise Britain and Ireland as a whole. It’s somewhat timely, then, for The Spectactor’s Michael Hann to kick off a debate about the supposed North vs. South divide in pop music. What seems slightly strange, though, is the manner in which these identities are carved up. The North, it seems, is full of bowl-haired urchins with guitars, while the South is laced with too-cool-for-school critics eager to seek out avant-R&B hopefuls at empty venues, shunning the music of the people for something a little too intellectual. Take Blossoms, they argue: a band who stood out for the North on the recent Mercury shortlist. Or look at The Sherlocks: a band who coasted into the Top Ten with precisely zero support from tastemakers (apart from Clash, who have actually covered them). It’s an intriguing notion, but hardly something that stands up. After all, cities such as Leeds, Sheffield, and Bradford are – on the surface – hotbeds for what some critics call ‘landfill indie’, the sort of sub-Libertines malarkey that was declared passé in those cool London circles about eight years ago. Scratch the surface, though, and you’ll find incredible subcultures, a complex DIY nexus that fuels one of the real powerhouses of British music. Lower rents (in comparison to London) allow artists a better standard of living, meaning that the North’s musical output is – in the main – far more daring, far more intellectual, and far more left of centre than your average rough-around-the-edges psych-pop combo might suggest. Not that there’s anything wrong with centre-ground guitar music. The term ‘landfill indie’ feels hopelessly inadequate, given that indie itself long sacrificed the major label dominated centre stage. Instead, redoubts like This Feeling host nights across the country, affording stages to groups who bring together post-punk and shoegaze, punk and new wave. Each city seems to boast its own hub. Liverpool’s Parr Street Studios – where Blossoms recorded their debut album – is run by James Skelly, whose work with The Coral is often viewed as ‘landfill indie’ but in fact contains some of the most wistful, moving, and melodic moments British guitar music has coughed up for decades now. It is true that vast geographical differences remain in the way the British public consume music. But then, it’s always been that way: Glasgow isn’t Manchester, Liverpool isn’t Newcastle, and Cardiff isn’t Norwich. Each place has its own atmosphere and environment, and the fact we’re still this far away from beige universality is something to be celebrated. But no one should be forced to write about something they don’t truly love. 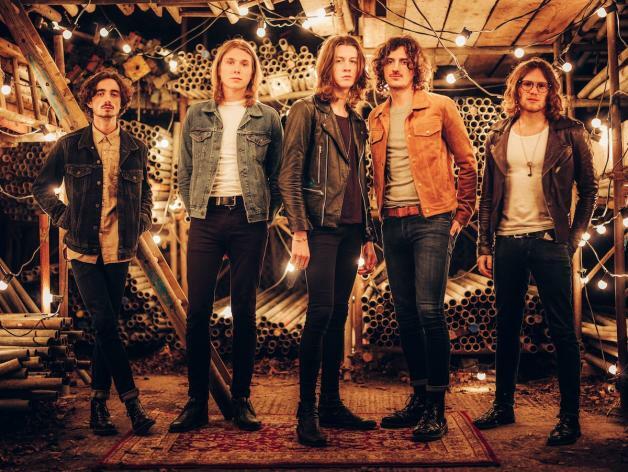 The fact that Blossoms scored one of 2016’s best selling debut albums doesn’t guarantee them press inches – after all, they were beaten by a Bradley Walsh swing album, something no music title in their right mind would touch. The Sherlocks, too, for all their precocious live energy are hardly ripping up the rulebook, and – as Michael Hann knows – that tends to be where music criticism congregates. Even back in the 90s, when there were a lot more music titles around, acts like Cast and Ocean Colour Scene would gain huge sales (of both records and tickets) but would wait in vain to be taken seriously by the press. This vision of four bowl-cut lads with guitars, effects pedals, and tonnes of attitude has certainly stood tall across Northern cities as a cypher for working class identity, and there’s undoubtedly a certain beauty to that. But it’s important not to see the dismissal of music – and it’s only music, after all – as the dismissal of both place and class. It’s not an anti-northern agenda, however intensely those on the receiving end may assume it stems from that. Finally, an observation as a Scot living in London. There are 10 million people in this city, most of whom shop at Primark, drink at All Bar One and listen to awful, appalling, terrible music. It’s only the sheer mass of population that drives audiences to the good stuff – and a lot of the truly great, wonderful music being made in this country comes from the North.